Do you want to save on buying food, visiting beauty salons, etc.? Then you certainly need to download the Scout Deals application to your smartphone. Save from 25% to 90% on everything. The more you use the Scout application, the more freebies you will find around you. The application covers more than 200,000 local and national outlets where promotions, discounts are held of which you are not aware. And the daily update of the application will not let you miss not one profitable transaction! Forget about the times when you had to spend hours looking for great deals on the Internet, Newspapers, mobile applications. 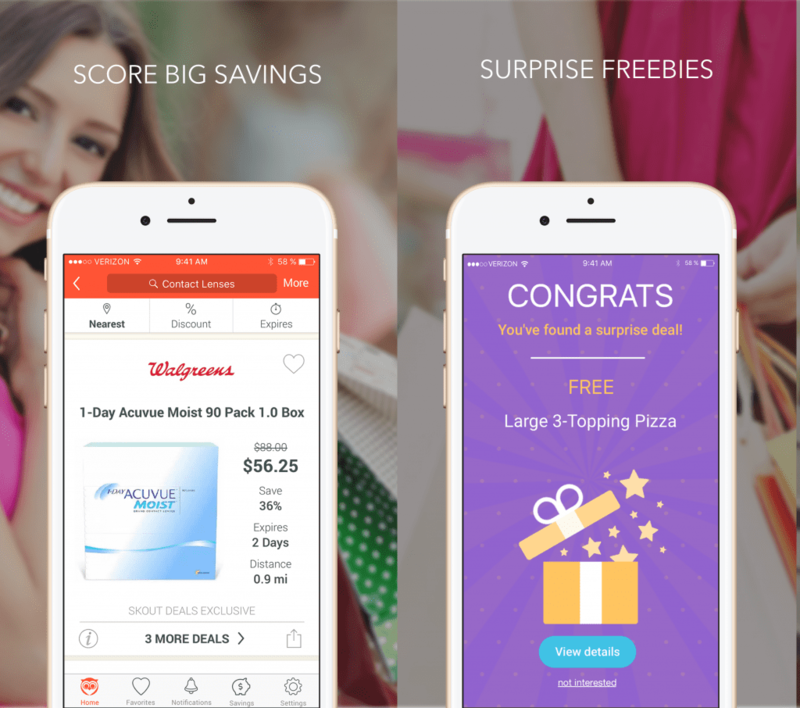 All promotions, coupons, and freebies are now in one place — in the Scout Deals application. Search for a Trade Point, a specific product or a keyword. Compare prices in the nearest shops/institutions. The ability to make purchases online, in the store or postpone the deal for later. Clever reminders of transactions that expire. Create a shopping list, and the application will notify you of the availability of discounts/deals for a certain product from your list. Get discounts from your favorite stores. Tracking your savings in automatic mode. 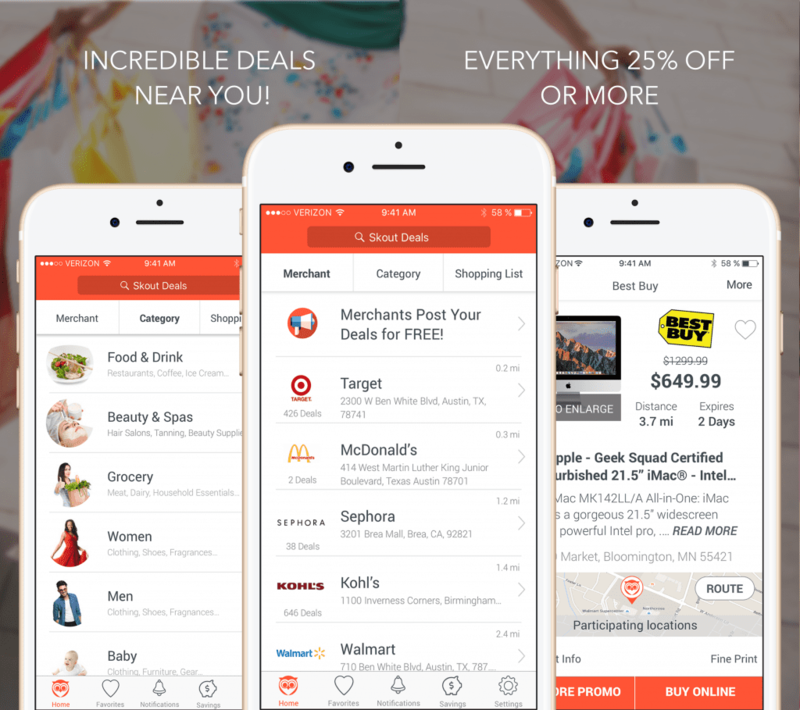 The application allows you to find transactions at such well-known points of sale as Target, McDonalds, Sephora, Best Buy, Kohls, Walmart, Whole Foods, Aldo, Pier 1 Imports, Dicks, American Eagle, Macy’s, Home Depot, Petco, Toys R Us and many others. Beverages and food, beauty salons, clothing and footwear, baby food, sporting goods, household and garden products, toys, computers and electronics, building materials, etc. Use the application and make life easier. After all, the main purpose of the application is to be the best way to find deals in America!